Contact Spotlight Series: How Can We Accelerate Social Innovation & Social Enterprise? There are several big themes we’re focusing on for the upcoming Contact Summit, one of which is the opportunity space for social enterprise in a networked p2p society. How does our ability to connect, collaborate and share resources via social media accelerate social innovation? Danielle started Third Rail Ventures, an embryo stage triple bottom line startup whose mission is to support and accelerate underserved entrepreneurs and their triple bottom line ventures. 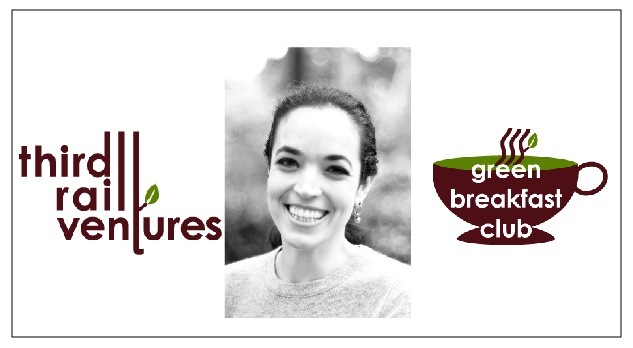 She’s also kicking off Green Breakfast Club this June in NYC, which will be a monthly networking event series to accelerate social innovation and sustainability. What drove you towards social entrepreneurship? Community and Sustainability have been a part of my life blood since I was a kid. The tenets of social activism I learned in my living room as a child are the same tenets employed today, yet the tools are radically different. And as a result, so is the world. Yet, access to this change, even with technology, is hardly uniform and open. After reading the Venture Capital Human Capital Report, I realized exactly how closed off the world was, at least from the vantage point of capital for enterprise. I pretty much dropped everything and launched Third Rail Ventures in response. What problem to you hope to solve with Green Breakfast Club? Like any social entrepreneur, whose venture operates for both fiscal and social bottom lines, or triple bottom line entrepreneur whose focus adds the environment to their charter, none of us want to reinvent the wheel. We want to create, collaborate, make our world a bit more great, but not if there isn’t a need. And so I did my homework, scouring the on and offline landscape for any resource I could find to get my venture going. What I found was the lack of solidarity economy that supported each other, and an incomplete roadmap on how to access these resources. Going down this rabbit hole lead me to founding Green Breakfast Club. Why are these online and offline networking opportunities so important? There is no social innovation or sustainability without the most valuable resource available to us on this great Earth: each other. What is the biggest thing that would accelerate social innovation and positive social change? Suresh believes that lack of funding for seed stage (pre-proof of concept) social ventures is the biggest challenge for social innovators. He’s working on the Ecosystem Pooled Fund to overcome that challenge, and is also developing tools and processes for open, distributed collaboration via the ProM project.Tell us about the Ecosystem Pooled Fund. I am developing a model, the Ecosystem Pooled Fund, that aims to reduce the risk of funding early stage social ventures by funding groups of projects together. The basic idea is that since projects are connected as a natural part of an ‘ecosystem’ of relationships, they can reduce their risk of failure by tightening such relationships and seeking financing together. The theory can be found in this paper. A description of the funding model can be found in this presentation. What tools are needed to help social enterprises become more effective? In addition to more financial resources, we need to develop a collaboration infrastructure and project matching system that enables social innovators and activists to find each other, explore opportunities and ideas together, and to collaborate with each other on the formulation of new ventures. This is what we are working on developing with ProM. How can social media transform the nature of social innovation? Visibility: It becomes possible to see people and projects that are related to yours which makes it possible to identify people and projects that are related to yours. This make it possible for smaller projects to connect more effectively with the world at large and to sources the resources that they need. Collaboration: The Internet also makes it possible to collaborate and therefore increase the scale of your project. This mitigates against the absence of capital for seed stage social venture projects. It also makes it possible to change the dynamics and relationship with financiers who can now engage more directly on projects, watch their progress etc. It would then provide say a maximum of $20,000 in funding. This would need to be developed in parallel with the collaboration related risk mitigation methodologies identified above! Devin is an advocate for the use of FLO (free/libre/opensource) tools and techniques whenever practically possible as a key to accelerating social innovation. 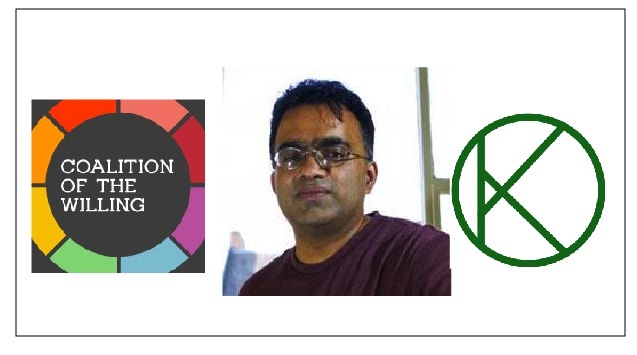 He’s founder of the Sarapis Foundation and is working on the ground to build FLO Farm, a 200 acre hackerspace and laboratory to experiment with FLO technologies, permaculture, and participatory governance practices.What is the mission of the Sarapis Foundation? I’m interested in disinter-mediating urban/rural relations in the New York Area so that people in the city have access to the land and people on the land have access to the city. These types of direct relationships provide a foundation upon which resilient local economies can emerge, ultimately resulting in the emergence of gifting economies. This requires the construction of a free/libre/open-source stack of technologies that we can use to generate value from abundant natural resources, communicate through highly functional information networks, and create an alternative set of conventions for exchange. We started the Sarapis Foundation as a vehicle through which we can tackle these challenges. How will FLO Farm help realize those objectives? 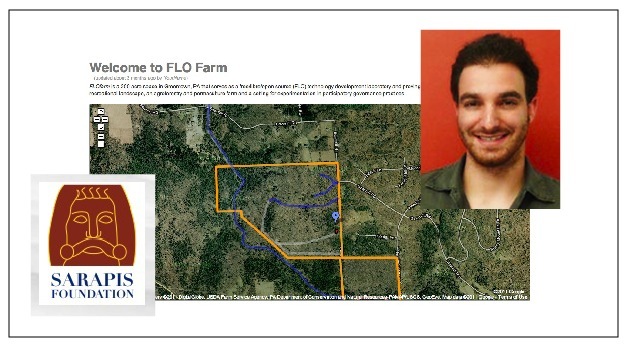 We’re starting FLO Farm, a ‘community node’ in Greentown, PA, to provide us with the space we need to start generating wealth and wellness from the land to finance the development and deployment of FLO tools and tecniques. In the Fall/Winter we’re going to start another node in the Broadway Junction neighborhood of Brooklyn where we’ll run workshops in using FLO software and hardware. We’re linking these two nodes, and many others, with biodiesel buses. What do you think is the biggest challenge being faced by social enterprises? The biggest challenge facing my sector is that very few of us are native users of social technology and we haven’t developed the conventions we need to use this technology effectively. If we all took a real social technology course that taught us a strategy for effectively using wikis, list serves, instant messaging and social status, we could be more effective by scales of magnitude. How does social media positively impact social innovation? I think there’s proprietary/closed innovation and participatory/open innovation. Social media makes participatory innovation easier by enabling people to find, converse and coordinate with each other. I look forward to more tools and techniques that make these types of relationships more productive. It’s both exciting and inspiring to see the passion these people bring to their work in creating a better world, and the promise of social media technologies to connect us and amplify our efforts. Stay tuned for updates on the people and projects making this magic happen. Check out the Contact website for more info about the event. If you’d like to join us in awesomeness, feel free to register here. If you’re on a tight budget and need a little financial love, fill out the scholarship application for a discount to attend here. And if you’d like any other info or are interested to know how you can sponsor or contribute to the event, you can email me at venessa [at] contactcon dot com. A great article! Thanks for sharing. There are so many initiatives on social entrepreneurship around the global, some big and visible, some done by passionate people really on the bottom line (with little financial backup). Bringing all these together into active dialogue and action will change the game. The minute the large corporations are calling in the bottom line entrepreneurs in order to connect with their internal intrapreneurs and extrapreneurs building up the future we (almost) all want to live in the world and humanity is on a good path. This will be a great information presentation. I hope to be there. They all seem to understand that it’s about getting good ideas supported at the beginning, even without the proof of advanced market research. I’ve been inspired to do these things as well. I think the synergy of purpose is in the air. How do you prove innovation and creativity of the unknown any way?